During the chinese lunar festival, august 15th on the lunar calendar, we had lotus moon cakes with two yokes; now lotus moon cakes with or without a yoke is a luxury, two yokes was an over indulgences. 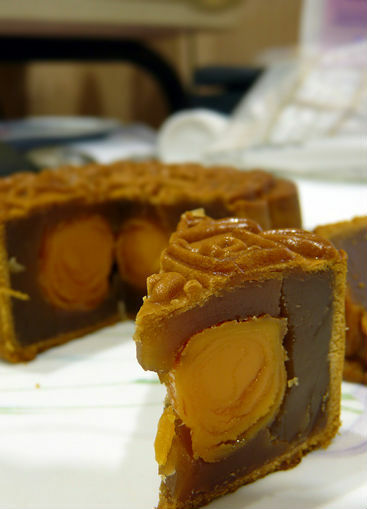 Moon cakes are usually brought as gifts to friends and family; this is a tradition within the chinese culture during autumn festival. It's all most as rewarding as giving money in red envelopes on chinese new years. Since this year our little girl is old enough, we made it extra special just for her. For our home we decided to do a little decorating. We stopped by Party City and brought some lanterns and leaves to hang them all over our ceiling. Then sprayed the walls with glow-in-the-dark paint. You should have seen her eyes lighted up when she woke up that morning; it can not get better than that being a parent. 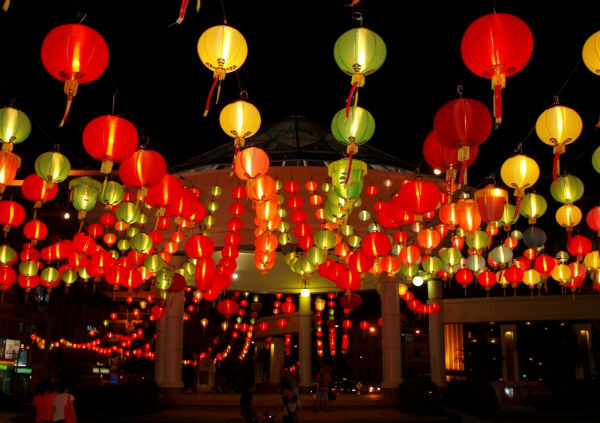 Did you know that autumn festival is celebrated in other countries as well? If your family celebrates autumn festival, how do you celebrate?